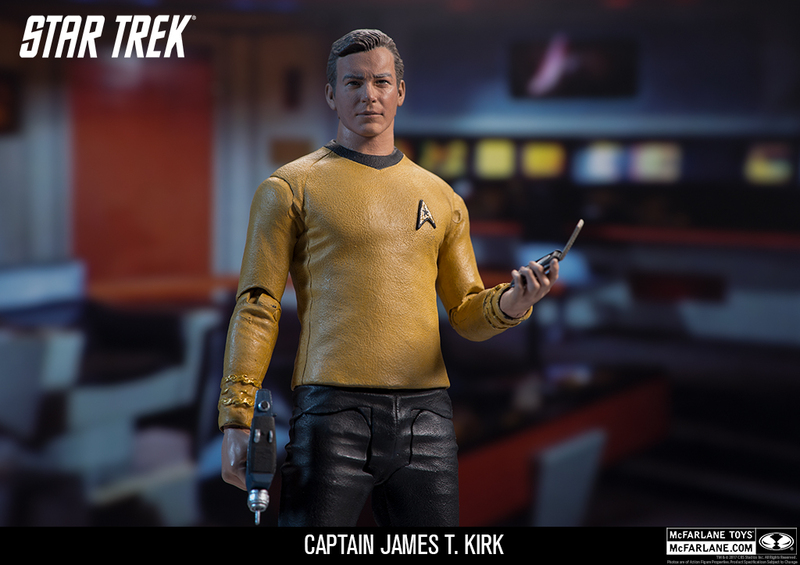 Captain of the USS Enterprise, Captain James Tiberius Kirk is one of the most renowned Starfleet leaders. 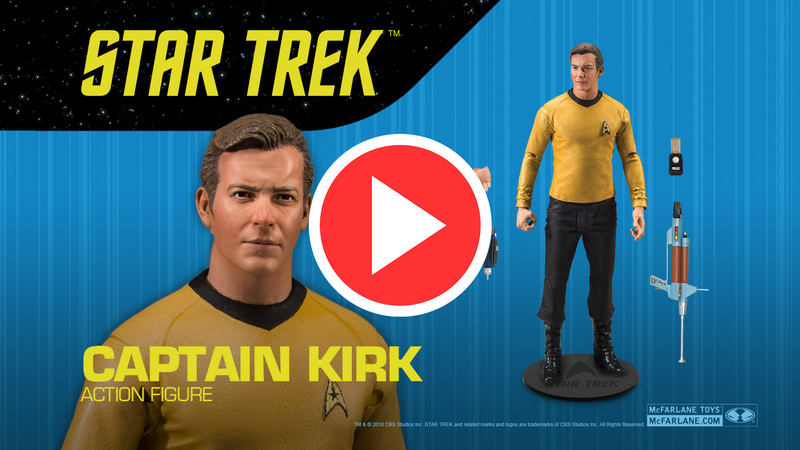 Kirk leads his crew to the far reaches of space, Where No Man Has Gone Before. 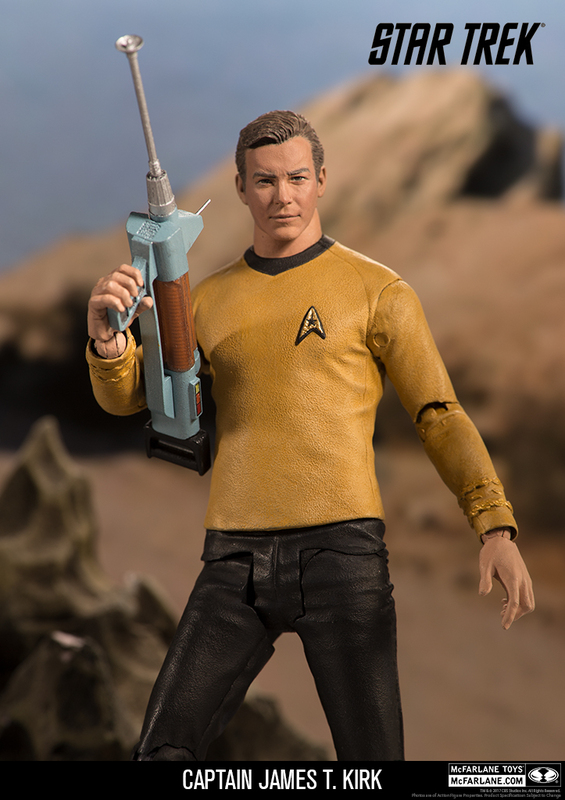 Regarded as a maverick, Captain Kirk strays from the path of Starfleet regulations, but only when the ends justify the means. 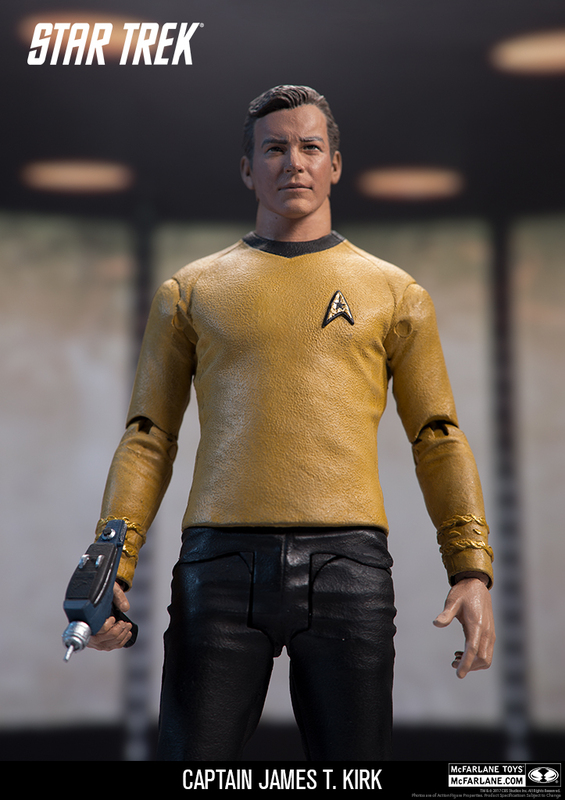 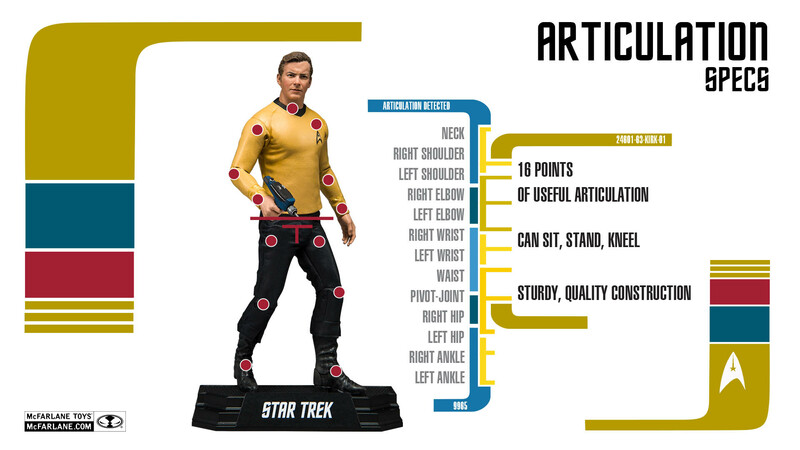 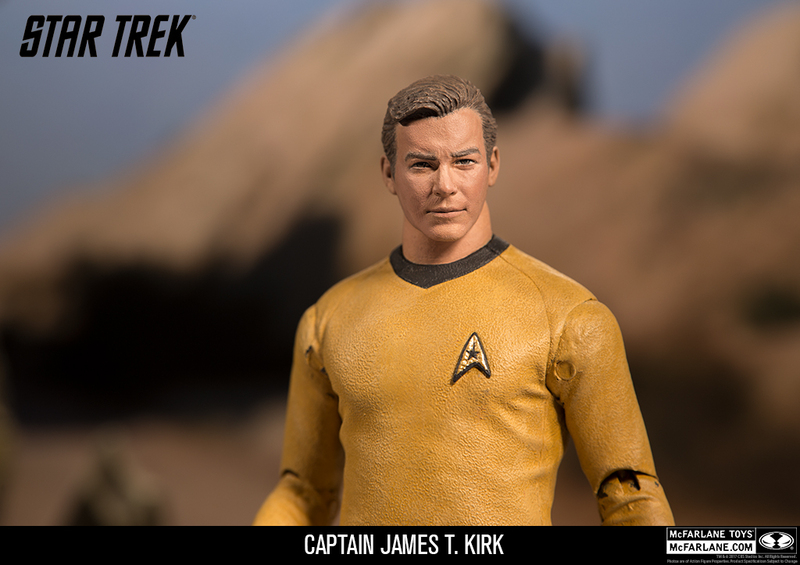 Captain Kirk is shown in his Command Yellow Starfleet uniform and will come with a Type II Phaser, a Communicator, and a Phaser Rifle. 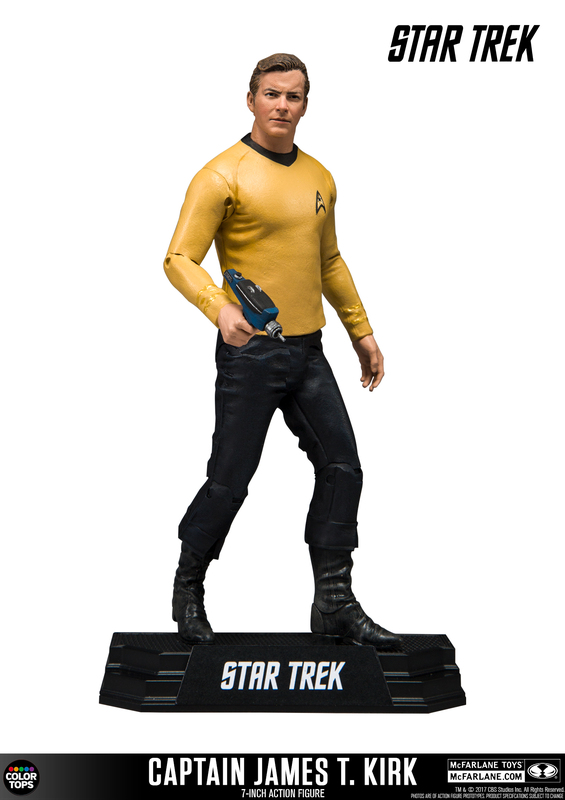 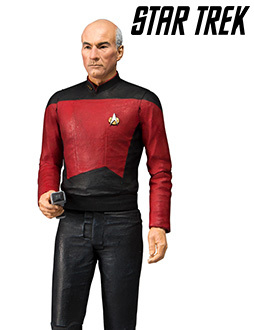 Figure Stands 7 inches tall and comes complete with multiple articulation points and a stylized brand specific base.